This project has been a two-year journey which began when my husband and I moved to Thailand in 2014. Living on the beach, we saw the dire state of our oceans and the extensive level of plastic pollution. Everyday, millions of tons of disposable plastic waste is generated in every corner of the world. Everyday, the remnants of these wastes are washed up on the shores, and into the sea. It is estimated that 50-80% of sea turtles in the world have ingested plastic, mistaking them for food. These plastic bags fill up their stomachs but do not give them life-sustaining nutrients; and in the end, the turtles die of starvation. Worldwide, six of the seven sea turtles species are now classified as threatened or endangered. Born in Taipei and raised in Australia since 1990, Annie is an inter-disciplinary artist. 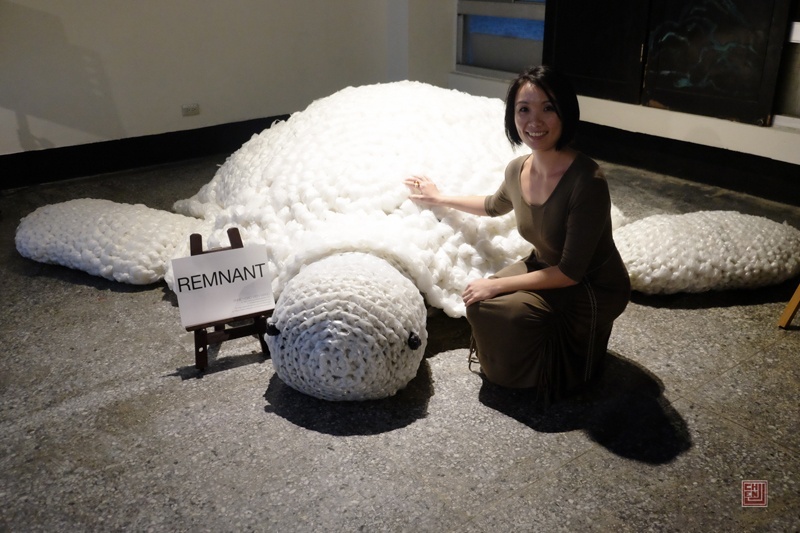 She is the recipient of several art awards; and has exhibited internationally in cities all over Australia, as well as USA, Hong Kong, and Taiwan. Her work has been widely documented in both the Australian and international press. Many of her works are now held in public and private collections around the globe. Taylor Kaku is a mixed-media artist living in Taipei, Taiwan, who works in sculpture, installation, painting, and drawing. Kaku received a Bachelor of Fine Arts in intermedia sculpture from the University of Utah (Salt Lake City, Utah) in 2013. From 2011 to 2014, he had taken part in many group exhibitions in Salt Lake City. 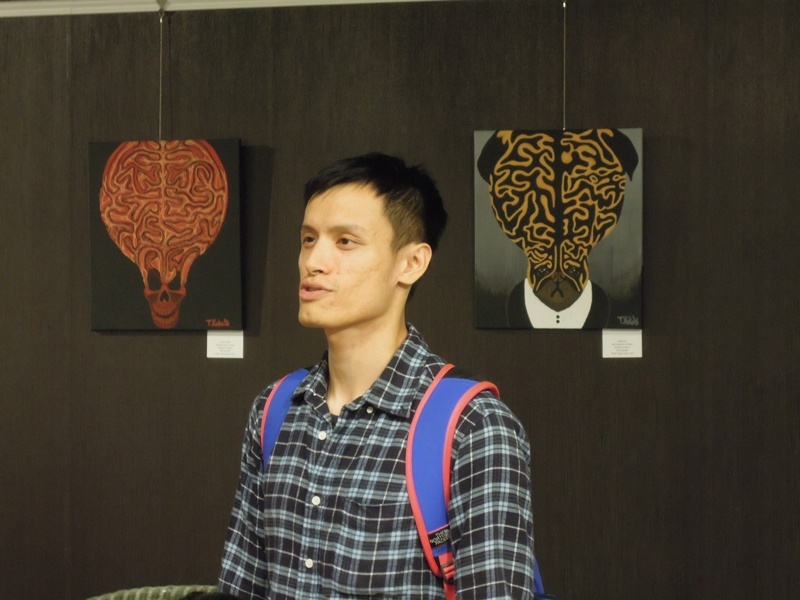 In 2014, he returned to his hometown, Taipei; and work as a freelance artist. In spring 2016, Kaku established an art studio space, Riverside, located in Banqiao District, New Taipei City. Since then, he has managed the mid size studio with a group of emerging artists and young entrepreneurs; meanwhile, he continuing pursues his artist career. My works are about issues that related to human development such as human nature, environment, religion, technology, wealth distribution, and politics. They have been extremely diverse and they also illustrate my exploration of different materials. What I use to create my works helps determine the topic and allows me to continue to push myself to create, explore, and introduce new mediums. Meanwhile, they Often related to nature and human concerns, while exposing our inner darkness, giving them the capability to concurrently attract and repulse. I challenge myself by using symbolism, sarcasm, narratives, and metaphors to guide the connections between my works and the audience. Past works have discussed food, petroleum industry, mental disorder, and political struggle. Through personal and universal symbols created from a variety of materials and processes that come together to tell real and fictional stories. In the last couple of years I have been thinking about who I am and what my main theme is. I gradually have found myself to be a dark artist. I work in the dark to serve the light. By representing the dark and negative side through the surreal, panic and strange sculptures, I hope to promote mutual understanding, respect, and assistance.